2 Chainz hits the kitchen with Jourdan Dunn on the latest episode of Life+Time’s Well Dunn show. 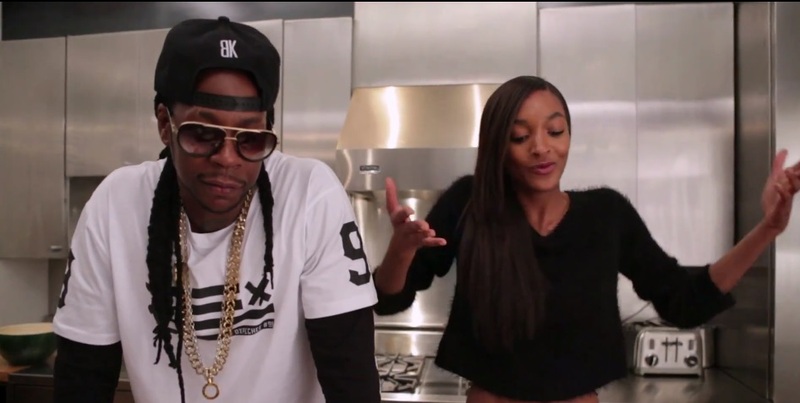 Take a look as 2 Chainz and Jourdan have some fun behind the stove and joke around in the kitchen. The rapper rolls up his sleeves and cooks up some delicious looking beer steamed king crab legs. Take a look as the food enthusiast showcases one of his recipes that fans will find in his new cookbook titled #MEALTIME. There’s also an awkward moment where Dunn trys to kick a food inspired rhyme for 2 Chainz. This entry was posted in Miscallenous, Video and tagged 2 chainz, boats II, cooking, Crab, hip hop, jourdan Dunn, life + times, Me Time, rap, well dunn. Bookmark the permalink.